The mission of Victory Clinical Services (VCS) is to provide quality, value, and optimal outpatient services to persons with opiate use disorders through medication assisted treatment and an integrated network of care. Victory Clinical Services is a state licensed medication assisted recovery program, designed to provide medical and counseling services to individuals with an opioid use disorder. Through these programs and services, we have helped patients successfully recover from opiate addiction, improve their mental health and quality of life and maintain physical health and well-being. Our commitment to providing patients with affordable, quality, evidence-based health care options has allowed us to expand across Michigan and into Indiana, and make our services available to even more people in need. Victory Clinical Services applies a team approach to assist patients in eliminating the negative social, physical, and mental effects of substance abuse. Staffing patterns established to address the resolution of substance abuse problems include physicians, certified substance abuse counselors, and nurses. Treatment planning for patients is based on a holistic problem solving model which addresses each patient as a unique individual with the potential to resolve substance abuse problems in a positive manner. To find a location near you, visit our home page for links to all sites. *Call your nearest VCS Program for availability. At VICTORY CLINIC, we are dedicated to providing our customers with friendly service. We value your business. We have made it our mission to provide reliable products and services in our customer-driven approach. 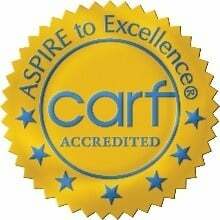 VCS has consistently earned the highest rating possible from third-party auditors evaluating our quality of care: a three-year accreditation by CARF, the Rehabilitation Accreditation Commission. VCS is licensed and certified by each state in which we operate.